Le Bao takes over the kitchen at The Lido Cafe in May 2016, serving up their modern take on Taiwanese Gua Bao - fluffy soft steamed bun filled with braised meat - with dishes including The Original (spicy pork confit, boldly spiced Mary Had A Little Bao (Moroccan merguez patty, harissa mayo, cress, pomegranate seeds) and the veggie-friendly Say Cheese (grilled goat cheese, crispy shallots, rocket, caramelised onion chutney). The are serving every Thursday and Friday night for May - booking recommended! "Award-winning independent restaurant The Lido Cafe will continue its sensational series of stunning poolside popup dinners this May, hosting a new kitchen takeover by streetfood rising stars Le Bao. Launching on Thursday 5th May and running every Thursday and Friday night throughout the month, the latest popup partnership at the acclaimed community hub in Herne Hill will offer guests the chance to enjoy a diverse cuisine in a truly unique setting. 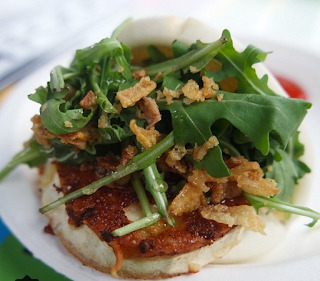 Le Bao are renowned for serving up a modern take on the traditional Taiwanese Gua Bao - a streetfood staple made from a fluffy soft steamed bun filled with braised meat. Their new menu for the May popup dinners at The Lido Cafe will showcase the trader’s impressive collection of brilliant bao buns, ranging from signature favourite The Original (spicy pork confit, pickled cucumbers, powdered peanuts) to boldly spiced Mary Had A Little Bao (Moroccan merguez patty, harissa mayo, cress, pomegranate seeds) and the veggie-friendly Say Cheese (grilled goat cheese, crispy shallots, rocket, caramelised onion chutney). Visitors to the exciting new kitchen collaboration can also sample Le Bao’s amazing array of delicious new small plates ideal for sharing, such as Spicy Kimchi, Drunken Mussels and Grass-fed Beef Tartare topped with a quail’s egg. 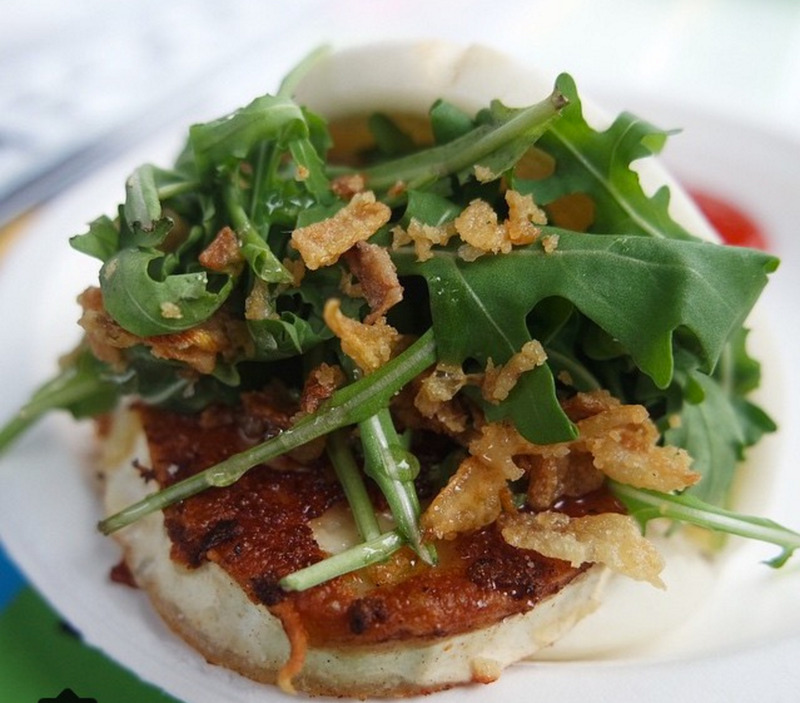 Le Bao’s gluten free steamed buns are stuffed with free-range and locally-sourced ingredients; they are proud to serve meat from Hill & Szrock and seafood by Fin & Flounder. Le Bao was founded by Laetitia and Jessica in April 2015 - a product of their passion for great food and many years of streetfood travels across the globe. The co-founders fell in love with the Gua Bao during their first trip to Taipei in 2013, and decided to bring these delightful street bites to London with their own modern twist. Having caught the public’s attention trading at prominent streetfood markets including Streetdots at Broadgate Circle, Broadway Market and Druid Street Market, Le Bao quickly branched out to regular pub and restaurant popups due to popular demand, as well as private events and summer festivals across the UK."